ln 1971 the bowling club became complete when the ladies of Aveley decided to form an independent club of their own, while sharing the same facilities as the men. 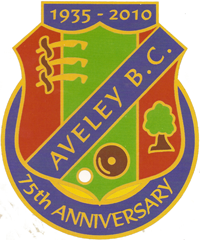 They proved themselves to be very successful and a credit to the Aveley Bowls club. The first officers were Marjorie Start — President, Rose Williams - Captain and Treasurer, Nan Doe - Chairman and Elizabeth Wakefield was their Secretary. Other early members were May Carr Mary Cootes, Maud Blythe, Phyl Eves, Rene Chapman, Joyce Green, Avril Petherick, Audrey Westcott, Janet Mills, Myra Smith, B. D. Ainge and Dolly Harknett. For a small village bowls club our achievements so far, apart from interclub competitions, are winning the National Fours in 1977 with F Bromley, D Cullum, C Smith and D Wakefield.The National Mixed Pairs in 1988 with David Wakefield and Myra Smith. 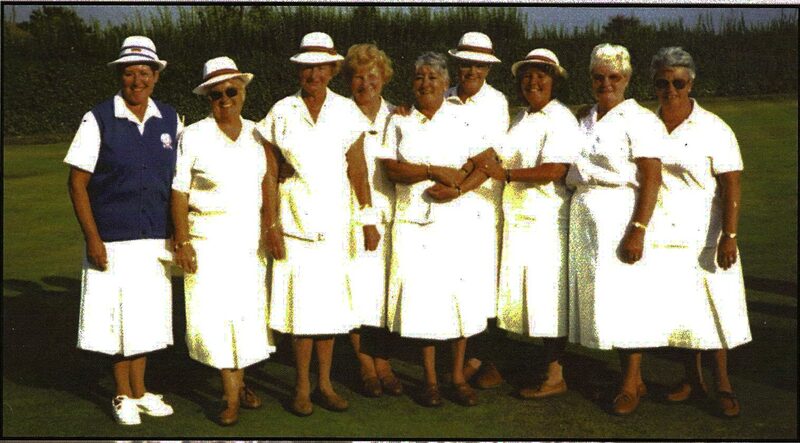 The photograph above shows the ladies who won the Albert Crabb Double Rink Championship in 2000 (Ruth Hovves, BernadetteThomas, Avril Petherick, Olive Etheridge, Shir|ey Buckley, Anita Audette, Iris Rawlings, Jackie Glendenning and Elaine Scarborough.